United Way’s free “store” remains open for tornado victims, and the agency has announced that items will also be available in Century this week. The store opened Monday and will be open daily from 9 a.m. until 4 p.m at 1301 West Government Street in Pensacola. While a number of Century residents did visit the store, United Way Director Andrea Krieger said the agency has worked with local partners to distribute supplies from in-kind goods taken from the “store” in Century. United Ministries will use funding provided by United Way to assist family and will also distribute supplies from the “store” to as many impacted by the February 15 Century tornado as possible on Thursday from 9 a.m. until 3 p.m. at Pilgrim Lodge Baptist Church at 7000 Jefferson Avenue. Healthy Start will use minimal funding from United Way to help extend hours and distribute supplies from the “store” at the Healthy Start Century office at 511 Church Street, Monday-Thursday of each week from 9 a.m. until 2 p.m. while supplies last. toiletries-soap, shampoo, toothpaste, mouthwash, toothbrushes, shaving gel, razors, floss, etc. paper and plastic goods-paper towels, toilet paper, plastic flatware, paper plates, plastic cups, napkins, etc. cleaning supplies- bleach, laundry detergent, disinfecting wipes, gloves, rags, towels, trash bags, etc. baby items- diapers, baby wash, lotion, shampoo, pacifiers, bibs, burp cloths, starter kits, formula, bottles, etc. drinks- packs of water, soda, juice, Gatorade, Powerade, etc. other- pillows, towels, sheets, blankets, etc. The items are available for free with those with assessed damage from the February 15 Century tornado, or the February 23 Pensacola tornado. Brace continues to coordinate with voluntary organizations active in disaster to begin plans for long-term recovery. Constant communication and coordination with Escambia County and Pensacola/Century City Governments, Volunteer Florida, FEMA VALs and local/national volunteer organizations responding to the tornadoes. 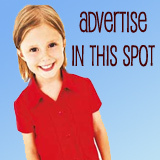 (Call 211 for additional information on their services). (Families in need may stop by the Healthy Start Office at 511 Church Street, Monday through Thursday from 9am to 2pm. Items available below:). · Manna Food pantries donated baby food and cereal – Healthy Start is providing these to mothers until supplies last first come/first served. · Goodwill and Abundant Life Outreach donated diapers and baby wipes- Healthy Start is providing these to mothers until supplies last first come/first served. Assistance in the form of deposits or transfer fees for Gulf Power service not to exceed $400.00. Proof of being a storm victim is required and funding is limited. Assistance to those who enter into a case work relationship with them- so they can help clients manage their recovery. Proof of being a storm victim is required and funding is limited- they are setting aside $20,000 of their budget and applying to United Way for funding. (Call 211 for locations of the stores close to you- vouchers are provided through 211). (Call 211 with your needs related to the items listed below). 2-1-1 will be managing the information on the disbursement of in-kind goods collected through community drives and on where resources are available. United Way of Escambia County encourages survivors to call 2-1-1 for resources related to their disaster needs. When survivors call 2-1-1, they will be offered food resources as well as clothing, toiletries and household goods from the community drives. Non-perishable food boxes with 7 days of food (pet food) and a case of water (Manna will be disbursing these items for United Way so that the food can be stored appropriately in accordance with USDA standards). 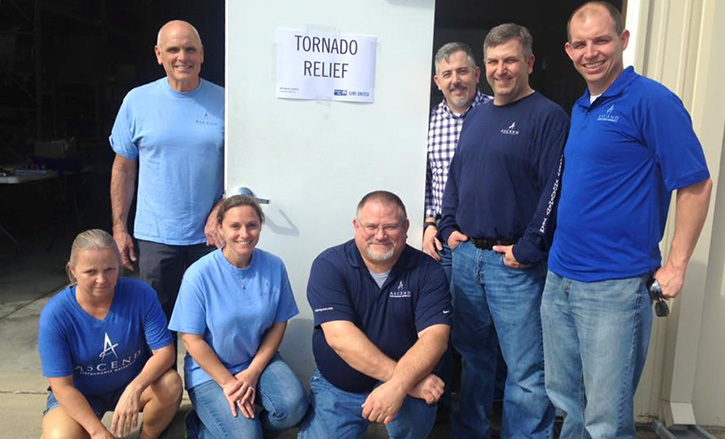 Pictured top: Volunteers from Ascend Performance Materials in Cantonment volunteer at the United Way free “store” for tornado victims in Pensacola. Courtesy photo for NorthEscambia.com, click to enlarge.